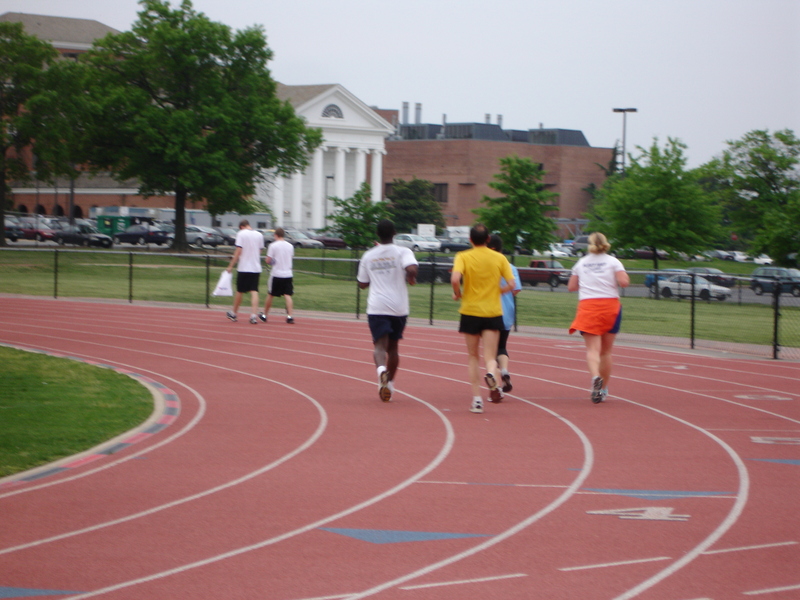 Several of us ventured out to Howard County for the Striders’ All Fruit Relay. Running for the Prince Georges Running Cranberries team were David Ferris, Christina Caravoulias, James Scarborough and Cindy Cohen. Sharyn and Kirk Gordon ran as part of the Orange-U-A-Runner team. Alas, the Cranberries came in last, and were crushed by a team of young men running with a watermelon for each 2 mile segment. But a good time was had by all, and at the end, there were cranberries and watermelon to feast on. See photos and results at http://striders.net/races/all-fruit-relay/2008/ (You’ve gotta see the photos of the guys running with the watermelon). The mountain laurels in Greenbelt Park along the Perimeter Trail are blooming now and are absolutely lovely. 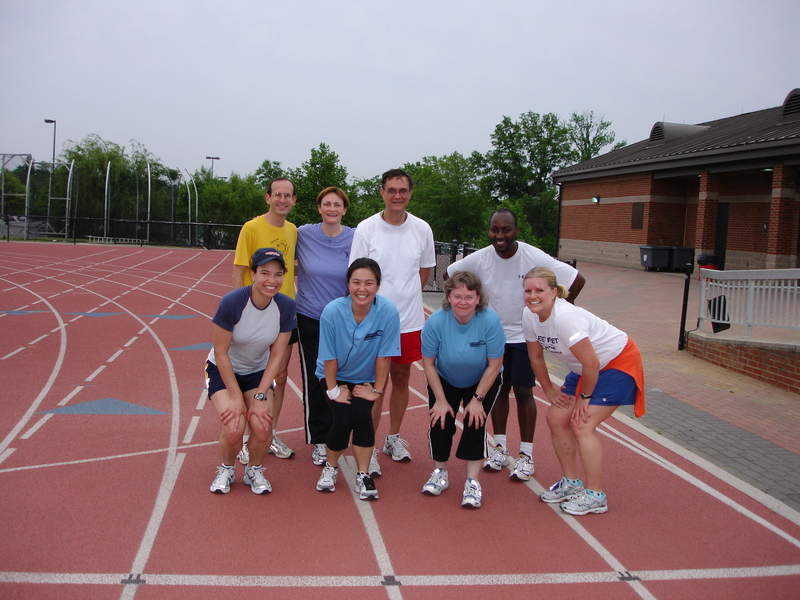 Come run with the club in the park on Saturdays and we’ll show you the trails. It was a gorgeous day for the Cicada Crunch 5K, in Cheverly, MD, directed by PGRC member Dave Rapp. Kudos to Dave and his team for putting on a fun race, featuring killer hills, a well-marked and supported course, and chocolate strawberries and cicada-shaped cookies at the finish. PGRC runners fared well today, with Christopher Hamley taking the overall win, more than 2 minutes ahead of the second place runner. Monica Lewis outleaned Cindy Cohen, to finish second and third place overall for women. Elliott Hamilton took the top spot for masters men, and Sharlene Deskins and Emily McLaughlin placed first in their age groups. 13-year old Linus Hamilton also ran a fine race on the hilly course. And Gene Lehr was out working the time machine, ensuring accurate results. Here are the full awards and results, with PGRC members highlighted in blue. 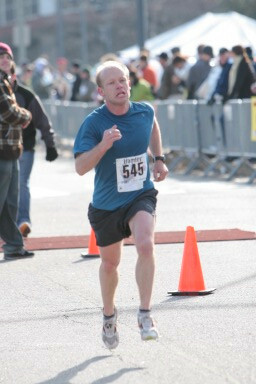 Christopher Hamley received the top ranking by the Washington Running Report in the Mens 40-44 division for the winter 2008 period. Way to go Chris! While the rest of PGRC was busy timing Pathways, coaching the Running Start, and attending the May board meeting, I traveled north for my next race. This year the weather was ideal (about 55 degrees and overcast), I had a great running partner (my college friend, Kevin), and I was looking forward to matching or beating my 2006 PR. And… I DID (by exactly 1 second/mile). I didn’t see any other PGRCers at the run… did anyone else run? 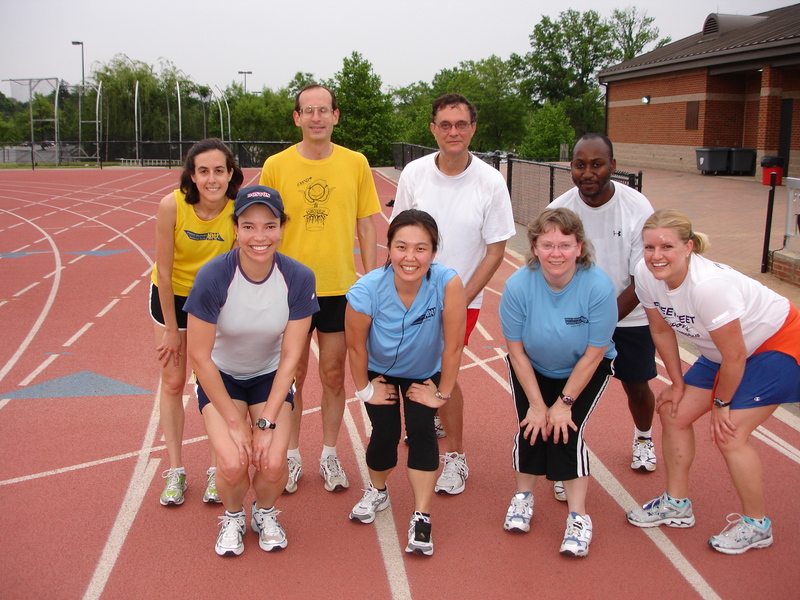 PGRC’s 2008 beginning runners program starts tomorrow (Saturday) at 8am. If you haven’t yet registered you can do so tomorrow. Registration forms are available at http://www.pgrc.org/training/beginning.html. Here are detailed directions to the meeting spot for the Running Start program. Lake Artemesia is accessed by turning onto Branchville Road from Greenbelt Road Rte 193. From Greenbelt and the east Branchville Rd. 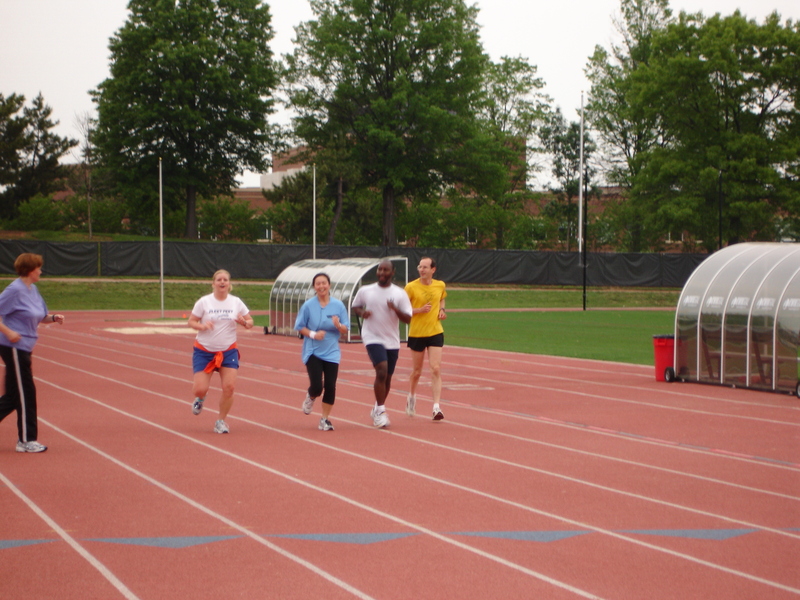 is one mile from the entrance of Greenbelt Park, and past the Beltway Plaza Mall. Turn right just past Pearle Vision and Siri’s Chef’s Secret Restaurant; there is a traffic signal and a brown Lake Artemesia sign at the intersection. The SunTrust Bank branch is on the corner on the west side of Branchville Rd. From College Park and the west Branchville Road is the first left turn past Rhode Island Avenue with a Shell Station and SunTrust Bank on the left before the intersection. Proceed on Branchville Rd. on a course that resembles a reverse question mark. You will pass under Rte 193 – the street name changes here to Ballew Ave – and then past the Washington Post Printing Center on the right. At 0.8 mile you will reach an intersection with Berwyn Road and Ballew Ave with a police department building on the southwest corner on the right. The PGRC Running Start Group will assemble at the Lake Artemesia parking lot on the southeast corner across Berwyn Road on the left.